A Markup Extension is a class that decides at runtime how to set a property’s value. Markup extensions allow code to be run at XAML parse time for both properties and event handlers. With Silverlight 5 we get Custom Markup Extensions allowing us to write more specific and complex Markup Extensions. Jeff Prosise’s have written a good sample here and Jeremy Likness have written about getting creating a custom markup extension that uses MEF to satisfy imports on object instances declared in XAML here. In Silverlight 5 it is possible to enable applications to run with elevated permissions in-browser. 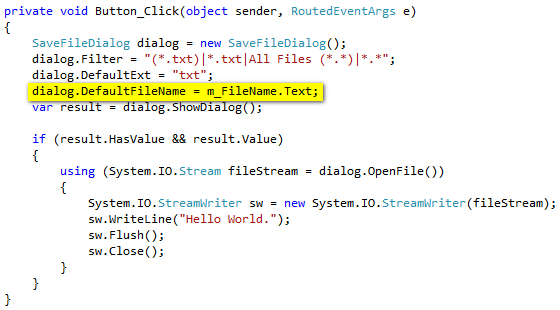 The code snippet below will open Notepad.exe using the AutomationFactory in Silverlight. Using the AutomationFactory requires elevated permissions. 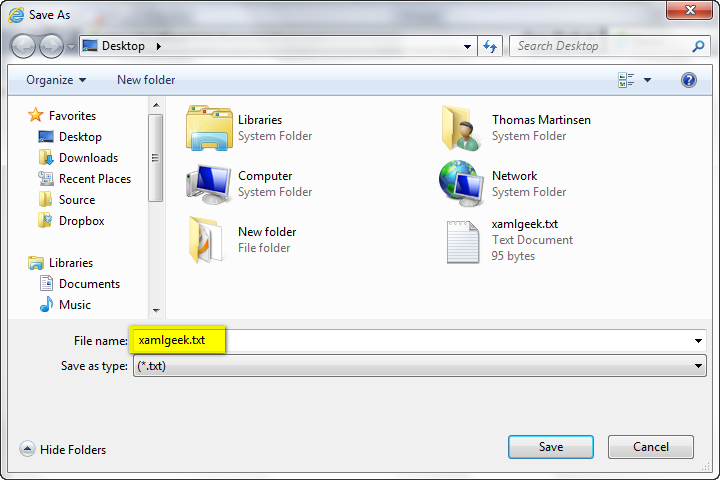 To run the snippet in Silverlight 4 the application must run with elevated permissions and in out-of-browser. In Silverlight 5 it is possible to run the snippet in-browser and with elevated permissions. Add the following DWORD key "AllowElevatedTrustAppsInBrowser" with 0x00000001. In order to make development a bit easier running using localhost (or 127.0.0.1) won’t require signing the XAP file or adding the registry setting. Yesterday Scott Guthrie announced a beta of Silverlight 5, which will be available in Q2 of 2011 and released in 2011. Silverlight 5 builds on the foundation of Silverlight 4 for building business applications, premium media applications and applications that reach beyond the browser. Silverlight 5 introduces more than 40 new features, including support for running Silverlight applications with desktop features in the browser, dramatic video quality and performance improvements, and features that improve developer productivity. The Silverlight 5 beta will be available sometime in Q2 of 2011. Learn more information about the future of Silverlight at http://www.microsoft.com/silverlight/future/. Watch the Silverlight Firestarter keynote. Read about the announcement in Scott Guthrie’s blog.